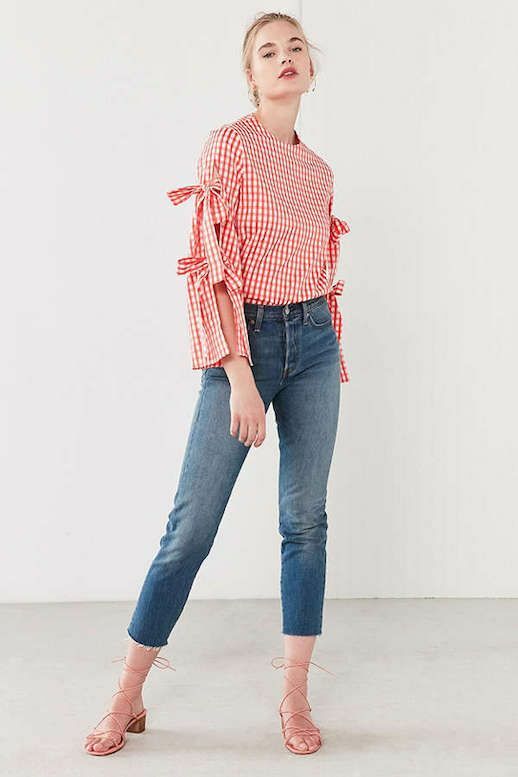 If you haven't been under a rock and have been keeping up with the latest and greatest trends, then we're sure you've spotted the gingham print all around. The pretty fabric/print that once was exclusive to preppy brands, has gotten a streetwear rebrand. This red gingham tie-sleeve shirt is a perfect way to push into this popular trend. Wear it with vintage-inspired cropped jeans and strappy sandals.